Prudent financial management requires some kind of plan or budget. My parents taught me budgeting skills early using the envelope method, which my grandfather taught them. My mom has helped several friends out of debt and put them on the right track financially using this very simple method. My goal here is to pass on some of this wisdom that I have found so valuable. I’m not an accountant, so whenever I try to use programs like Quicken or Microsoft Money, I get confused and a bit overwhelmed by the terminology and the complexity. Those programs are great and have many great features, but just keeping a simple budget doesn’t need to be that complicated. All it takes is a little common sense and some self discipline. This is not a get-rich-quick scheme. Indeed it’s not even about getting rich. It’s about getting on top of your financial situation and living within (or below) your means. I’m kind of self-conscious writing this article because I am certainly not the model of financial responsibility. I have a lot to learn in this area. I’m writing this for other people like me who are not accountants but find themselves thrown into real life where they have to manage their finances. The name of envelope budget method comes from its origin. Back in the days before debit cards and instant access to bank accounts, many using this method would store cash in envelopes, and spend from those envelopes throughout the month. Some, like my parents and grandparents, abstracted this by keeping track of the envelopes on paper, rather than physical cash. I have used spreadsheets as well as other computer programs. The principles are the same no matter how one keeps track of the envelopes. The envelope method is very simple to understand. You have categories (envelopes) designated for each of your major expense items and each of these categories is allocated funds from each paycheck. An important thing to remember is that the envelope method is front-loaded, meaning that you save up money for expenses, then pay after you have the money. Say that you have a $40/month Internet bill. If you get paid every other week, you’d save $20 per paycheck. At the end of the month, you’ll have enough to pay the bill. I get paid bi-weekly (every other week), and have found it best to set myself up on a monthly budget, counting on two paychecks per month. For those who are quick with math, you’ll realize that that leaves two unallocated paychecks per year. That’s right! It’s like a scheduled bonus twice a year. Budgeting for 24 paychecks a year, when paid bi-weekly, is a great practical way to help yourself spend less than you make. Lets look at how to set up an envelope-based budget. The first thing you need to do is identify all of your expenses. The best place to start is with your recurring bills and expenses such as electric, Internet, cell phone, cable, car insurance, tithe, etc. Also make a list of other expenses that I call “fuzzy” expenses such as groceries, spending money, eating out, gas, etc. Fuzzy expenses are those that are dependent on your discipline. It’s simple to spend less money eating out (don’t eat out), but not as easy with a bill. Be sure to include infrequent bills such as car insurance which may be due only every six months. Once you know your expenses, organize them into envelopes. There are a couple ways you can do this. Some people group similar expenses together. For example, someone might create an envelope labeled Utilities rather than having separate envelopes for Electric, Water, and Propane. I find it easier to create a separate envelope for each expense. Each envelope will have a goal. This is the amount of money that needs to be allocated to this envelope each month. If the expenses in that envelope have a fixed amount, set that as the goal. For instance, if your Internet bill is $40/month, that is the goal for that envelope. Some bills vary per month, such as electric. Look at past bills, figure out the average, add a little bit, and use that as the goal for that envelope. Some months you’ll have extra. That’s good, keep it in that envelope for the months where it’s a bit more expensive. It will all work out through the course of the year. For the fuzzy envelopes, set goals based on past spending habits. For now, it’s important to be realistic, not optimistic, about how much you will spend. While I would like to only spend $25 per month on groceries, that just is not realistic. When you first create your budget, allocate funds based on your track record, not your future goals. For a few months just keep with what you’ve been spending then later you can work on adjusting your habits. This will help keep you from getting discouraged if you don’t meet your monthly goals right away. Believe me, being realistic is a lot harder than you’d think. Now create a plan for what happens to your paycheck. Figure out how many paychecks you will receive each month. As I said earlier, I get two paychecks per month so that’s what I’ll use for this example. With two paychecks per month I need to allocate half of the monthly goal for each envelope with each paycheck. Allocating funds this way, rather than based on what bills are due this week, frees you from having to worry about whether or not funds will be available when the bill comes. The trick is to pad your budget by one or two paychecks. I talk more about that in the “Practical thoughts” section of this article. You now have all your major spending categories defined as envelopes, realistic goals set for each category based on your income, and a plan for what happens with each paycheck. The key to keeping this budget is to practically ignore your bank account balance. If you want to see how much you can spend on clothes, look in the clothing category, not the available balance on your checking account. You have already done the hard work and planned how your paycheck will be allocated so that you have enough to pay all your bills. Now just stick to that plan. It does take some work to maintain the budget, and this is where the self discipline part comes into play. The weekend after payday, I usually sit down at my computer and update my budget. This involves getting online and printing out my bank statement, and spreading all my receipts for the past two weeks out across the desk. Starting where I left off last time, I check off lines from my bank statement, find the corresponding receipts, and enter the transactions into my budget. When I enter the transactions, I deduct the amounts from the appropriate categories. This usually takes about an hour. Then I spend some time looking over my spending habits for the past two weeks to see where I can improve. If you find yourself habitually in the red in a certain envelope, either your projected goal is unrealistic, or you need to work harder at keeping tight reigns on spending in that category. By noticing these trends in my own budget, I have identified areas where consumerism has crept into my life without me realizing it and have been working to reduce my spending in those areas. Let me add a quick note about checks. With checks, there is a delay between the time you write the check, and the time it is cashed at the bank. Depending on the recipient, this may be a few weeks or months. It’s important to deduct the check from your budget when you write the check, not when it appears in your bank statement. As soon as you write a check, consider it gone. This is important because in two weeks you might forget that you wrote the check, and your budget deceptively shows you doing a lot better than you actually are. When the check is cashed, it can be devastating and the check might even bounce. For this very reason I avoid writing checks whenever possible. Thankfully most bills can be paid online these days. One thing you’ll notice if you do this is that your budget and your bank statement will not have the same totals for your checking account. Your budget will be less than your checking account because of outstanding checks. Keep this in mind when balancing your budget. After a couple months, you will have a good idea of what you typically spend in certain areas. This might be painful. I had no idea I was spending that much on eating out! You can slowly tighten the reigns to help yourself take control. Immediate, dramatic changes work for some people, but for the majority change is most successful when it happens slowly over time. It is less painful that way. Lets say I’m currently sticking $50/month into savings, but I want to do more. One thing I can do is cut my “Eating out” envelope by $10/month. When I am eating out 4 or 5 times a week for lunch, that $10 would hardly be noticed. That is only twice a month that I have leftovers for lunch instead of going to Wendy’s. Adding that $10/month to my savings increases my savings rate by 20%! Over the course of a year, I will have saved $720 instead of $600. This may not seem like a whole lot, but you can do this many times in many different of your “Fuzzy” envelopes over the course of a year or two. You can get creative about ways to tighten the straps too, such as cutting back your cell phone plan, walking instead of driving, etc. That’s how it worked for me. I now only eat out one or two times a week. I didn’t break the habit overnight, but slowly started funneling that money into my “Giving” envelope so that I could increase the amount I contributed to various charities. Spend less than you make. Without budgeting, this is very difficult to accomplish. Budgeting for 24 paychecks per year is a great way to accomplish this. Spending everything you make is dangerous. There needs to be room for the unexpected. 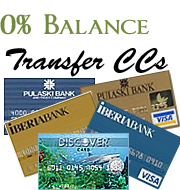 Credit cards are very tempting, but credit card debt can be very dangerous. High interest rates make it hard to repay. For someone with a moderate credit score, interest rates of 15% to 30% are typical. That’s insane. Credit cards are good to keep around for emergencies, but making a habit of buying things solely on credit is dangerous. “When in doubt, do without.” This is a practical little saying, and is applicable to many areas of life, not just finances. Basically it means that if you’re on the fence, debating whether or not you should buy something, chances are you don’t need it, and you just want it. In that case, just do without; don’t buy it. Wait a day before spending over $100. This is something I do simply because I hardly ever obey the “When in doubt, do without” principle. Waiting until the next day helps my judgment and reduces impulse buying. Be realistic, not optimistic. When creating a budget and identifying goals, it is important to be realistic, not optimistic. This is especially important when creating a budget for the first time. Base it in reality, not in where you want to be. After you’ve tracked your spending habits for a while, then start tweaking your budget to bring it in line. Pad by one or two paychecks. One of the hard parts of starting a budget is that all the categories are $0. After the first paycheck, some of the bills will be due, but not enough money will be in the category to pay for it. If at all possible, build up for yourself a buffer of one or two paychecks. To do this, in the first month where you have three paychecks (if paid bi-weekly), treat it just like normal and allocate it into the various categories. This gives you breathing room from there on out. The great thing is that doing this once is all that’s necessary. The budget will balance itself out after that. Once you do that, maintaining a budget is a lot easier, especially for monthly bills that don’t always occur at the end of the month. Get receipts for purchases. I use my debit card for almost everything. I’ve found it useful to save receipts from all my purchases so that I have two sources for each purchase (my bank statement, and the receipt). The receipt is also good for remembering what I bought. If I spend $45 at Walmart, $20 might be for my car, $10 might be groceries, and $15 might be for a shirt. All I would see on my bank statement is “$45 to Walmart.” My memory is not that great, so having a receipt helps me remember what categories to deduct from. Keep paperwork. This doesn’t have to do with a budget per-se, but it’s something I learned the hard way. Keeping paperwork in a filing cabinet is very useful, especially come tax season. Things you should keep include receipts for paid bills, receipts for all your giving (since it might be tax deductible), copies of past filed tax forms (the IRS recommends keeping 7 years of tax history on file), pay stubs, and bank statements. Keeping my budget and doing my taxes has been a lot easier once I started keeping these things on file. Categories that are not obvious. Bills are obvious categories that you’ll want to create. There are some others that are not quite so obvious. Here are some possibilities: Tithe, Giving, Cash ($10 or $20 a week), Eating Out, Home Improvement, Car Maintenance (I put $20 a month in here. It adds up after a year so when I do have a major expense, I’ll have enough). If your car is paid for, maybe create a category called Car Savings so you can have a good down payment when you go to buy a different one. Another good category is Gifts. Putting $5 per paycheck into this category is easier than trying to find money when you realize that tomorrow is mother’s day. Create a Savings category. Unexpected expenses always come up. It’s good to chuck a little bit away into a Savings category from each paycheck. It doesn’t need to be much, even $10 or $20 is good. 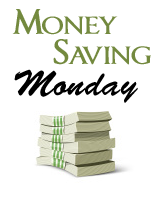 If you save $20 per paycheck, in a year you’ll have $480 saved (on a bi-weekly paycheck). Make a rule to only spend out of this in an emergency. Getting ones finances in order has many benefits. Some of those benefits include staying out of debt, overcoming existing debt, saving for unexpected expenses, saving for the future, providing for ones family, developing self discipline, not worrying about paying bills, and discovering where ones heart lies by tracking spending habits. There are certainly other ways to keep a budget. This is just a method that my family has used and has worked well for us. If you don’t currently have a budget or track your spending, I encourage you to get into this habit. Good post! The envelope system is the simplest system known. Anyone can use it, and your explanation made it sound like a good way to go for us who are net accountants as well as those who are. Thanks. Great recommendation! I have been using Mvelopes and I like this system MUCH better. I now have a concrete plan to pay down my debt. Thank you!! I like the simplicity of this method. Solid advice. You can find a full review that I did of YNAB Prohere. Jesse and Julie, God bless you both, and your staff too! Jack, with a software program (like NeoBudget or YNAB), you can go negative in an envelope too. That’s what I like about it. Running a negative balance is bad (obviously), but one month I might spend $20 extra on groceries, so I just know I need to tighten the reigns the next month to get it back in the black, or transfer something from another envelope. Either way, the envelope method is still working for you. If you cut your spending next month to make up for this month’s deficit, then that’s the best way to recover a negative balance. If you transfer money from another envelope, it just means you’re tightening the reigns in other areas to make up for spending extra in groceries. It’s still essentially keeping within your budget as a whole, just sacrificing in one area to make up in another. The envelope method doesn’t need to be completely strict. But it certainly is an excellent guideline. I’ve loved using it, and why I felt compelled to write this article to share the beauty of it with others. Dave Ramsey is an excellent guy and enveloping is definiately his thing. Personally I think it’s excellent, because you get to feel and smell the cash you are about to spend, rather than it being an automated decision that you have no connection with. As the money pile goes down, so you become more thrifty!